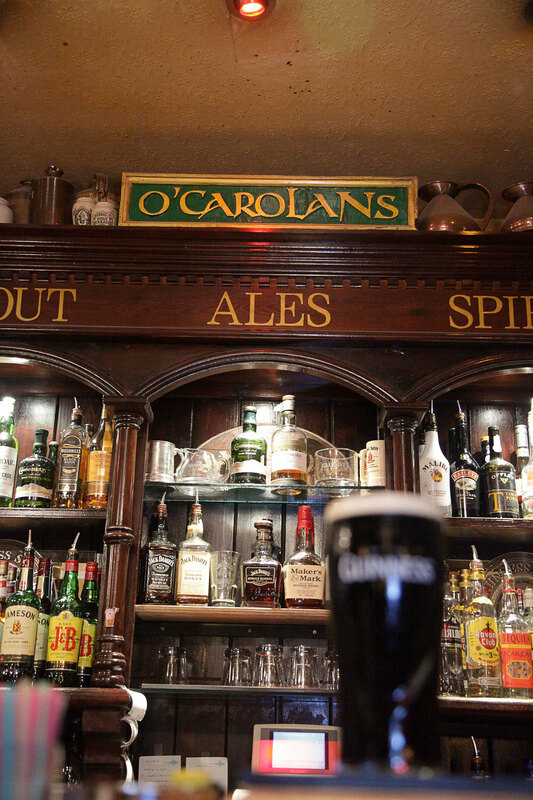 Founded in 1997, O’Carolans, a family run Irish pub, is one of Montpellier’s top international bar destinations. Its terrasse overlooks one of the city’s most beautiful squares. Place St. Anne is the home to Carré St. Anne, a former cathedral transformed into a modern art gallery and the music academy. O’Carolans Irish Pub was designed and built in Waterford using only the best antique materials. The owner Gareth Holmes and manager Anthony Hollyhead with the team opens O’Carolans 363 days a year. Pop in everyday of the week from 12pm to 2am. Whatever your reason for coming, you will always find a warm welcome , great service and of course plenty of ‘craic’ in O’Carolans.